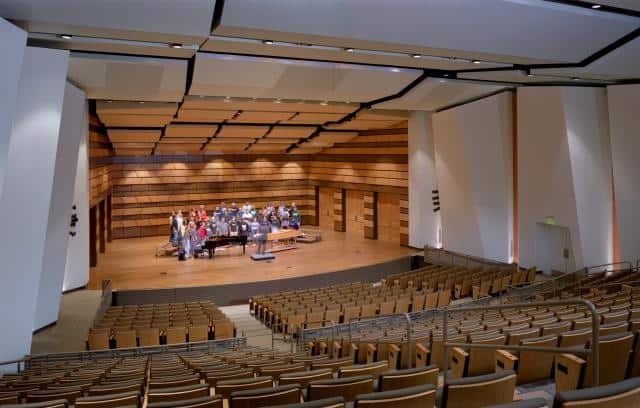 The University Center for the Arts includes the 500-seat Edna Rizley Griffin Concert Hall, 317-seat University Theatre, 200-seat Studio Theatre, William E. Runyan Music Hall, 250-seat University Dance Theatre, two Dance Studios, Instrumental Rehearsal and the 500-seat Casavant Organ Recital Hall. The facility also includes multiple instructor studios and a compliment of practice rooms for individual and ensemble rehearsal. 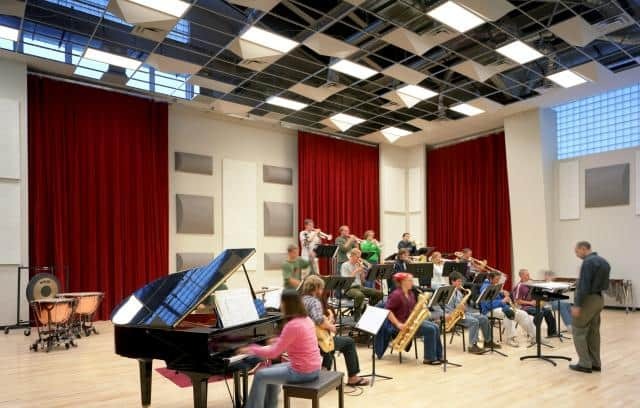 The concert hall, dance studios, instrumental rehearsal and percussion rehearsal spaces are additions to the old Fort Collins High School building that was renovated to create the Center for the Arts. 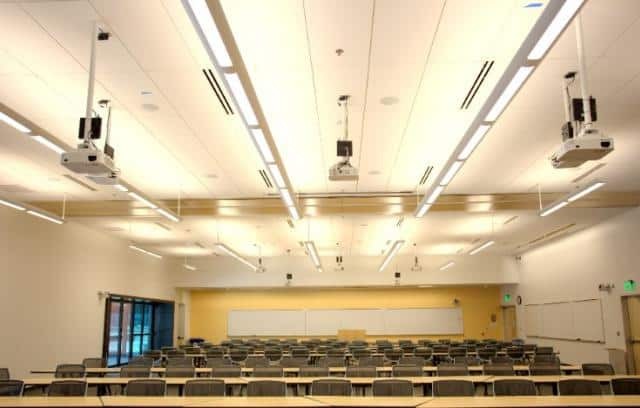 D. L. Adams Associates, Inc. was able to achieve high levels of sound isolation and acoustical performance using relatively light-weight wall and floor-ceiling constructions. 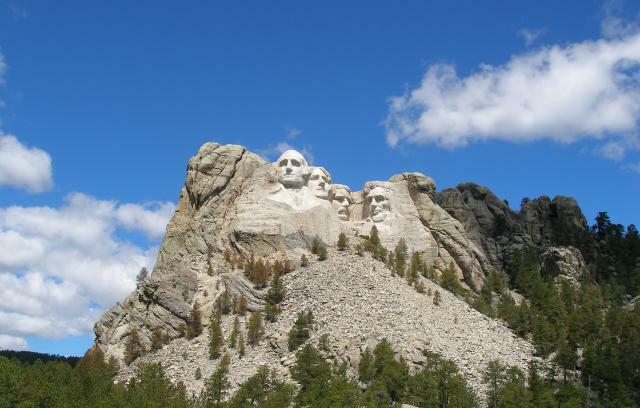 This was necessary due to limits imposed by the existing building structure. 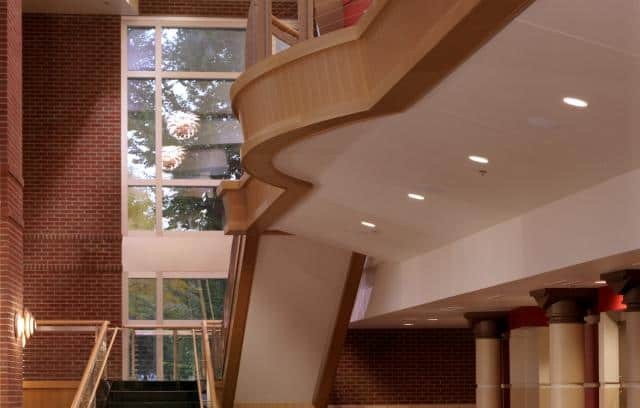 Services provided acoustical consulting and design services for the entire project including the concert hall platform shell, room wall and ceiling element shaping and materials and seating, sound isolation, mechanical system noise and vibration control. 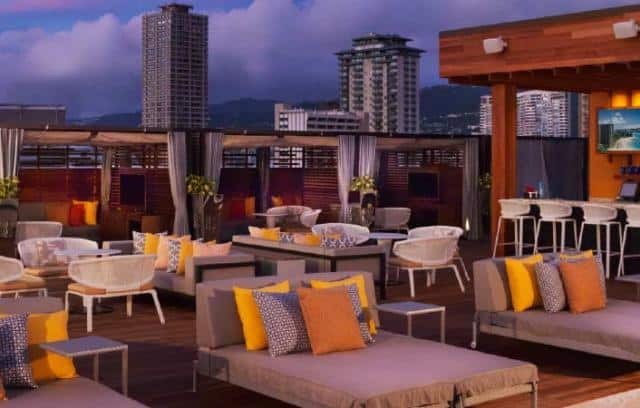 In addition, D. L. Adams Associates, Inc. provided technology designs for a digital recording system, technical intercom system, video distribution and the sound reinforcement system.